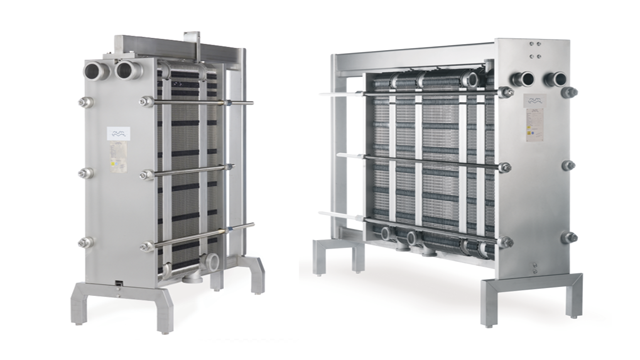 Alfa Laval FrontLine is our premium range of plate heat exchangers for applications with the strictest demands regarding hygienic control as well as gentle product treatment, long operating time and superior cleanability. Suitable for applications with specific hygienic needs such as beverages, dairy and food, FrontLine is the superior choice for heat sensitive media. The flexible design makes for easy rebuild. Alfa Laval’s FrontLine range uses glue-free gaskets made from FDA-compliant materials that are easy to maintain and have a long service life. 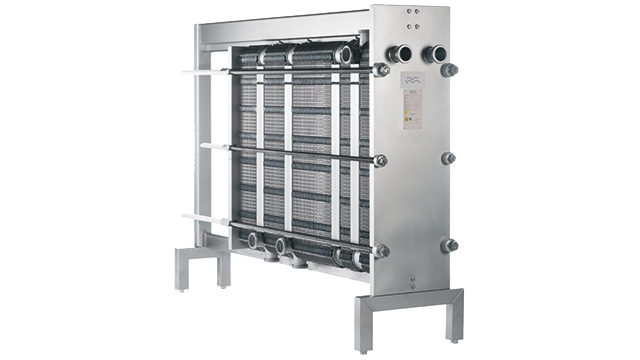 The frame can be used for multi-section applications (eg for pasteurization) and is easy to disassemble for inspection, cleaning, and service. Connection plate corners are interchangeable and heat transfer plates can easily be added or removed, so it is quick and easy to modify if process conditions change. FrontLine is available with three different types of plates, all of which are designed for sensitive, hygienic applications and uncompromising cleanliness. Clip plate – has a chevron plate pattern designed for hygienic conditions. The entry points, the distribution area, and the shape and depth of the pressed plate pattern allow for optimal performance. Clip plate Gemini double wall – consists of two plates pressed together. This prevents cross contamination between fluids in case of leakage through the plates. Clip plate WideStream – has a wider plate pattern with fewer contact points, which makes it ideal for products containing pulp or fibres. 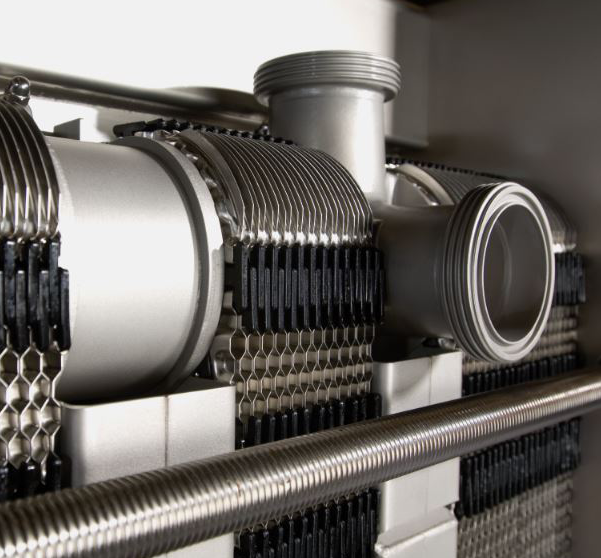 Alfa Laval’s FrontLine Automatic is an extended version that has a motor and a PLC based ontrol system for automatic opening and closing of the heat exchanger. This is suitable for larger units in dairy pasteurization with high throughput where there is requirement for frequent inspection and cleaning.